HALIFAX, Jan. 15, 2016 /CNW/ - Peter Stoffer announced this morning at the House of Commons a new charitable organization that supports access to justice for Canadian veterans. Funding for the initiative was announced in 2013 in conjunction with the Manuge SISIP Clawback class action settlement, but was made official in Ottawa today with the establishment of the Veterans Legal Assistance Foundation ("the Veterans Legal Fund"). The $1-million donation was made by firms that received fees in the settlement – McInnes Cooper and Branch MacMaster – to fund a private foundation for the benefit of disabled veterans who apply and qualify for support. "We're very pleased to see something like this being made available to veterans," said Dennis Manuge, a Canadian Armed Forces veteran and representative plaintiff in the SISIP class action. "Our ability to legally pursue disability claims should not be hindered by our personal budgets." "We recognize the cost of hiring a lawyer can be a financial burden on veterans, but the likelihood they will receive a successful result is much better if they have professional representation," said Ward Branch, Q.C., Branch MacMaster Partner and Veteran's Legal Fund Board Member. "This fund will make the legal system easier for many of Canada's veterans appealing disability benefits." The mandate of the Veterans Legal Fund is to assist veterans with access to justice by providing funding assistance enabling them to retain qualified legal counsel. The framework for the funding assistance program would be similar to that of legal aid. "As lawyers, we are often introduced to people and organizations that have difficulty gaining access to justice due to their personal financial situation," said Peter Driscoll, McInnes Cooper Counsel and Chair of the Veteran's Legal Fund Board. "Legal fees on an appeal for disability benefits can cost a veteran $15,000 to $50,000," said Peter Stoffer, Veteran's Legal Fund Board Member. "A veteran's right to seek an appeal to a decision should not be limited by his or her financial means." Veterans Legal Assistance Foundation ("The Veterans Legal Fund") was established in 2016 as a charitable organization providing Canada's veterans funding to private practice legal counsel to reduce the burden of legal fees associated with proceedings before administrative tribunals and courts. Eligibility for funding is reviewed and selected by the Board of Directors through an application process. To qualify for assistance, individuals must meet the definition of "veteran" as defined by Veterans Affairs Canada. Assistance is discretionary and with a priority placed on issues broadly affecting veterans nationally. Personal legal matters, such as family and criminal matters, are not eligible for funding. We encourage veterans facing issues with respect to accessing benefits to apply by consulting with local legal counsel who can contact the fund administrator to determine eligibility. Inquiries from legal representatives may be directed to veteranslegalfund@mcinnescooper.com. The Class Action was initiated in March of 2007 on behalf of Dennis Manuge and all other disabled veterans whose SISIP Long Term Disability Benefits are reduced by the amount of the monthly VAC (Veterans Affairs Canada) Disability Pension they receive under the Pension Act. 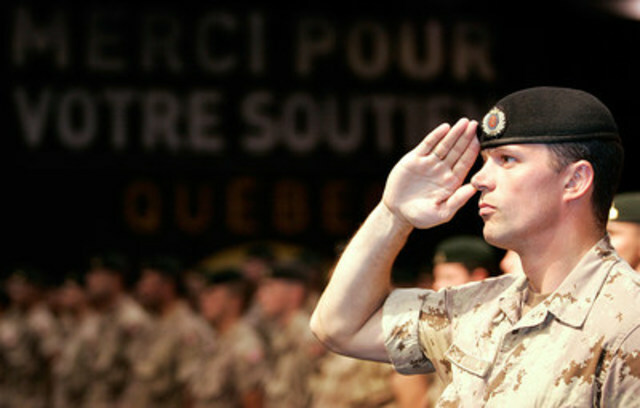 On May 1st, 2012, the Federal Court of Canada ruled that the Government of Canada acted illegally in making deductions from veterans' long term disability benefits. On April 5, 2013 the Federal Court of Canada ruled in favour of the proposed settlement agreement with the Government of Canada. In further proceedings, a settlement was also achieved involving alleged miscalculation of Consumer Price Index adjustments of these benefits. The estimated total value of the approved settlements for disabled veterans is in excess of $900 million.